There is that sound again… the indication of another notification from one of your Social Media platforms. Question is: what do you do? Are you one of the 60+% of people in the world who immediately and impulsively grab your mobile and check that notification? If so, your dependency on automatically looking what the notification is about, may be an indication that you are suffering from what is called Social Media Addiction. It is always easy to slap a label onto something, so even though it may seems straight forward, let’s dive deep into the what and why of this human matter. To kick start this article, let’s see how dictionary.com explains the word, or symptom (as it is often called): “Addiction is the fact or condition of being addicted to a particular substance or activity”. Take note, that the word activity is included in the explanation. After all, attending to your social feeds is an activity - something that are done fairly regular. Being spurred on by a post I read on It’s Time To Log Off it is clear that an overwhelming amount of people in the world are suffering from SMA (social media addiction). You may read this and think “oh well, this is not me”, but please take note: if you find it (rather) difficult not to respond to notifications by checking your feeds immediately or constantly recording/typing content for your sites, then it is time to wake up and smell the coffee. It is very possible that you are one of the 60+% in the world. Let’s look at such a scenario from a different angle: how do you feel when you discover you have no signal to receive incoming alerts on your mobile device? That anxious feeling, together with not being able to post any content, can have a negative effect on your wellbeing. For instance, you may end up feeling down in the dumps, frustrated (to say the least) and/or even get really angry. These emotions, due to the lack of not being able to connect as such, spells danger. There is a possibility one can argue that the existence of social sites are created to get you hooked. Albeit this being a very strong suggestion, take a minute and think clearly about it. One could easily find some truth in that statement. Going back to the explanation of addiction, hooked is exactly how people end up if they can’t leave their devices alone. Time, within the technology world, luckily moves at a speed almost as fast as light. Nowadays applications (Apps) are created to help people curb the time they spend on electronic devices. Assisted by those within the medical environments, these helpers are there to do exactly that. The crux lies within ones own decision to turn them on. The mere fact that institutions are making decisions to create electronic help, can be a clear indication that the statement about sites vs deliberate, obsessive behaviour may not be as far fetched as we want to believe. Changing the screen time applications’ settings to on is one way to minimise your activities online. Another very simple, and effective, solution is to take a firm stand and cancel all notification alerts. Of course this can be seen by many as a drastic measure, but let’s keep our eyes on the longterm effects. There are clear indications that your health will improve when one exercise less negative emotions in life. Specially when it comes to the dependency on feedback such as likes from followers. 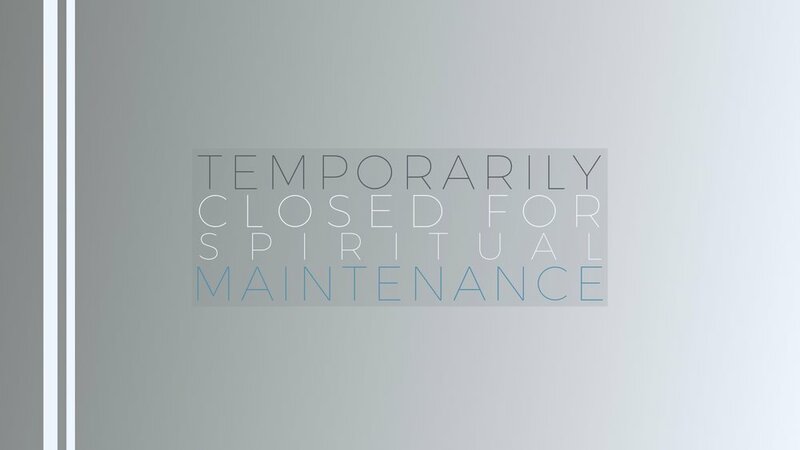 Obviously, when one cancels a certain daily ritual, a gap is created and therefore the need to fill it is inevitable. Why not get back to good, ol’ natural remedies such as go outside and breathe in fresh air? Pick up a book, read and turn pages with your fingers (instead of swiping) and better still… talk to someone face to face. Let’s be honest, the possibilities are endless. It is only a matter of looking around and not focussing on a small screen in front of you. “I am going to take a hiatus from social media” is a line very often used in social media posts. However, are many of those really sticking to their words? But that is exactly what you want them to do, you may say pointing your finger at me. Yes, that is what I’m on about - however, my questions still remains: Do They Really Do That? My believe is that many online influencers/activists, etc. are confused by the words taking a break. Time and time again I witness regulars on social sites claiming the proverbial gone fishing scenario only to discover a few minutes/hours later they are in full glory, camera front facing and happily chatting away live to the world. And where do I see this happening? On various social media platforms that offers a stories or live function, where else! That hiatus didn’t last long, right? “No, no, no, Evan, I am taking a break from publishing any work related content. I am away with my family at a beach resort. I am teasing your taste buds with the delicious food we’re eating?” Or the other classic: “I am building my personal brand on social platforms! Presence is what it is all about”. I am afraid such individuals need to stop kidding themselves. That kind of behaviour is not leaving social media alone for a period of time. Purely because you change your content does not make it less of a habit. Publishing your absence loud and clear is exactly what it should be. Stick to your guns - most importantly, show your audience you’re a sincere human focussed on many other opportunities than the matter in your hand. Content on platforms are important, don’t get me wrong. However, the content is not what causes the addiction. The inability to see the wrong doing, is the underlining cause for concern, in my opinion. The bottom line is to first realise the habit and how damaging it is - and only then serious change can take place. I will leave you with some honest advice: Take A Well Deserved Break from Social Media and do Your Future Self a favour. Ultimately, enjoy the sunset views… taste the delicious food… have a great, fun time away from normality. It will do you the world of good. And finally a cheeky suggestion: share those taking-a-break-memories with us all by creating and publishing a digital album on your return. You can reach me here, on LinkedIn, Twitter, Facebook & Instagram. HOW DID YOU DO THIS YEAR? It’s upon us. Yes, we’re about to wave ta-ta to 2018. Setting goals for the immediate 12 months to come is an exercise I categorically do ever year. It actually is a very exciting activity that happens within the first week of the new year. The start of 2018 was no exception. Now with the end in sight it is time to evaluate those milestones. The overall conclusion is that the goals set out were realistic and probable. In hindsight, to be honest, the odd one was a bit too conservative. Then again, it cancels out the one here and there that was over ambitious. All in all, the general consensus is that my 12-month vision was pragmatic and reasonable. All in all, many more similar goals with a few spanners thrown for next year. Even though ones goals can easily be realistic, the next step in the process is crucial. This is the next move within your path of reaching a goal. Manoeuvring forward is, can be and most certainly will be, difficult. First, and foremost, the question jumping out is… were the limits pushed out all the way? Did you really put shoulder against the wheel and dig your heels in deep? As with every step of reconsolidating your goals, one has to be brutally honest with oneself. Personally and to the point, the answer is: Yes, but Could’ve Been Better. The pushing was mostly intense, the dedication was there, but there were moments when dealings with goals were way too conservative. Even though I am in general a very positive person, motivation seemed to drift away from time to time. The desire to get back on track needed an efficient amount of energy to get ones’ mojo back. That time spent could’ve been put much more towards chasing and following up on possibilities. Lesson learned that focus on time management should be taken far more seriously in the new year. Step 3 within goal setting is the actual physical part of it all. This is where the action really takes place. Milestones is what it is all about. When you pen your vision for the months to come it is very important to add dates of when a goal should be completed. Yes, it’s tough, but without it a goal is only a dream without a plan. Luckily, most important goals were hit at the right time due to my action steps being thoroughly in place. One such a step was to sign up a client from the USA which materialised within the timeframe set out. Hitting the right target moment is incredible. It causes much happiness and drives ones desire to go forth and be more productive. I also believe in the saying… trust the timing of your life. This quote is not to be dismissed as being lazy or show a lacklustre attitude. Some goals did seem to become out of reach throughout the months. However, just as I thought I may not complete those, they were achieved - albeit at a much later stage as originally set out. Best is they came together fairly out of the blue. So remember… Magic happens when you do not give up, even if you want to. The Universe always falls in love with a Stubborn Heart. Let’s remember that Patience is a Virtue. The last section of your yearly, very important exercise, should be the most exciting part. To get to that level of euphoria you need to have been committed to having a fierce mindset. Your mindset must be driven by your desires at the start of penning your goals. 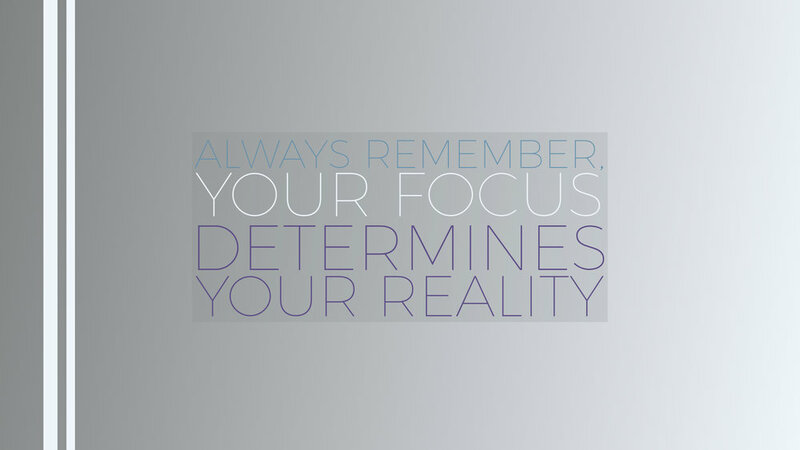 Focus is a crucial part of not only getting things done, but being in command of your thought process. My outcomes at this stage of the year are both acceptable and surprising. I am happy that the element of surprise raised its head. It often does, so one must not ignore the possibility of the odd thing coming along without any warning. The additional (surprising) achievement came in the way of a request to appear as a guest on a well known podcast. This was most certainly not on the cards - and, honestly, I didn’t even thought of it at the start of the year. However, luckily the forces to be dealt me this amazing card. Best of all is that I grabbed the opportunity with both hands and successfully stepped into a brand new world. The reactions of people via social media and in person were fantastic. It didn’t end there though… I am already booked (for mid January 2019) to record another appearance on a different show. The end result of some goals that was less satisfactory is not the end of the world. I don’t consider I failed my goals because I didn’t travel as much as I wanted to or didn’t do as many courses as I thought I could. The same is to be said for attending local networking events and adding another tattoo to my collection. Saying that, I did however attend courses, webinars and online discussions efficiently. My travel was sufficient and I have met and connected with a few most incredible people that is now firmly part of my community. For not getting the tattoo… well, the closure of my favourite tattoo parlour in Minorca was totally out of my hands. A golden rule is to be Prepared for the moment Opportunity knocks. Drawing a line under one set of goals is great - and opens up the door to set another lot of possible achievements. Looking back and realising that the outlook for the year gone by was on par with ones’ desires is very motivating. And that is where you want to be at the end of a year. Let your motivation for doing even more and even better next year drive you forwards. Precisely what I will be doing within a few weeks. Now is also the right time to get the ball rolling for next year. Don’t wait until you hit January to get your ducks in a row for what your goals are going to be. Start your thought process before you hit the Christmas Season (that way you can enjoy the festivities with family, loved ones and friends guilt free). Bullet point your initial thoughts now. Make a start rather sooner than later. And that is exactly where I am now. I am taking the lessons I learned from 2018 and applying them to my outlook for 2019. Since I mentioned the issue with motivation, it is obvious that it will be seriously addressed. Time management is another part that I will look at and be far more bold about. One other aspect that I will need to work on is that of being far, far too hard on myself. A certain amount of toughness is desirable, but going over the top with demands on yourself is not good. To be realistic was again a good move this year, so more of that to come. Basically, if I could (for example) achieve building relationships as I did this past year, nothing is stopping me from forming even more ones next year. Adding great people to my list of acquaintances will be inspirational to say the least. I will also keep a much more open mind when it comes to surprises. I am looking very much forward to 2019. Kicking off a New Year with a Clean Sheet. My mind is already set to achieve a lot, even though I have no idea what the new year will bring. But that’s the beauty of it all. If we knew what was coming our way, life will be quite boring and easy. And who wants that? Most definitely not me and I’m sure You don’t want it either. Here’s wishing you an Incredible Festive Season! Have a Very Merry Christmas and take time out and spend it with all the wonderful people in your life. If your loved ones are unfortunately not near, don’t forget to call, text/SMS or even send a card. Most of all… Let’s hit 2019 with roller blades on! See you on the other side of December 31. It’s so easy. Over time you adopted certain ways here and there that you feel comfortable with. It seems it is making life just that bit easier, right? Well, apologies to burst your bubble, but have I got news for you. When one of your goals is to become a successful Entrepreneur, please spare me a moment to explain. For starters, don’t feel offended. You are not the only human on earth that has got not such good habits. Trust me, apart from millions of others, I have them too. Or actually, I am daily working hard on chancing them. Success.com opened my eyes when I read their article on Harmless Habits. They got 10 Successful Business Owners to point out one habit each that can stand between You and Success. So, why do we have habits? As mentioned at the beginning, together with the explanation in the dictionary, it is a settled or regular tendency or practice, especially one that is hard to give up. As humans it is easy for us to fall into a rut. Especially if people constantly advice you to have a structure in work and life. You can argue that a habit is part of your structure – you’re doing something in a certain way consistently. That sounds like it could work, but we fool ourselves. So what should we do? The bit that is not easy to see is that a habitual work ethic works only in the short term. What we should be focussing on is the long term effect of entrepreneurship. Carving our path to success should be built around longevity. We should not put in all the effort, time and energy for it to be over and done with after a few months from now. Definitely not. We should be in it for the long haul. Gaining or Keeping a Client is essential – however, at a cost to your own business it is not going to work in the long run. Especially at Startup I thought one should never say No. Big mistake. Make sure to weigh up the pros and cons before making a commitment. Saying No can work in your favour. Clients hire you for a reason: they usually don’t know what they want and are therefore wrong on many suggestions. Your First Employee/Freelancer has been with you for yonks. He/She is being with you through thick and thin. They have to stay put. Nope. No Way. Unless they have The Vision you have. If they don’t they will become like a bad smell. Clear the air and find appropriate help. Time is of essence, of course. Your To-Do list is as long as your arm. Better knuckle down and have a bite whilst you’re typing away like crazy. Emails, messages, social networking, busy, busy, busy. If you don’t want to do Yourself a favour, please do Your Mind a favour. Give your brain a break. Actually, Give Yourself a Break. Trust me, you’ll have much better focus after having your lunch away from the keyboard and monitor. Definitely haven’t got a minute to spare or as the saying goes to scratch my backside (to put it politely) leave alone doing exercise. No efficient business owner has got time for that malarkey. Wrong on both accounts. For the busy Entrepreneur exercise is more about the Mind than the Body. Luckily the body gains a lot by letting the Mind take most of the focus. I can’t stress enough how regular exercise will elevate your energy levels, mindset and wellbeing. You’ll be supercharged and ready to take on any issue. Many in particular are like: "I can multitask. Check me out". Yes, we will look at you being: all over the place… making mistakes everywhere… not in much control of any project or team… lacking a lot of information… missing deadlines, etcetera. Concentrate on one task at a time. Complete it in full and then move to the next. Your productivity level will go through the roof. The need to quickly drop your favourite client a "Hi. You OK?" email. It is good practice to stay in touch, right? Yes, but only when you have a reason. A flimsy email for no rhyme or reason is just clogging your client’s inbox even more than what it is already. At the end of the last project you both left on good speaking terms. Trying the buddy-buddy approach is not only old fashioned it is plain irritating for your client. It can’t be send out in its current form. The logo is 0.5 mm to far left. And there you miss the deadline. Oh dear. Many times only You see that error, if we can call it that. It took me a long time to realise that a tiny mistake in my eyes, are not even visible to others. Save yourself the stress. If you really insist, fix it later when no one is looking. Clients, your team, the canteen worker, etc. must always come first. That’s how you operate and living your life. Your needs always are second. Nothing spells Burn Out like this attitude. You may think it makes you an amazing person. Believe me, when you’re sitting in a corner sobbing because your world has crumbled beneath your feet, You Will Be Sitting Alone. Learn to be positively selfish. Everyone will admire you more for being like that. There is a time and a place for everyone. Ping! Yes, another notification. You Got Mail. Dropping whatever you’re doing to start typing a reply ferociously is a waste of time and energy. You, the client, everyone is busy. No one expects an immediate reply – unless it’s a matter of life or death which most of the time it isn’t. Rank first and reply in due course. Nothing is much more impressive than a laid out To-Do List with tasks and times. Perhaps even colour coded for necessity. Only to reach the end of the day and 75% of Today’s Tasks are copied and pasted in tomorrow’s list. One word, Prioritize. We all have different methods to complete tasks. Figure out what works for you and stick to it. Personally, the mundane tasks have to be eliminated asap. Then the focus and energy can be spent on important issues. Others find it the other way round. Whatever Makes Your Day do it Your Way. Sometimes we’re too stubborn to make changes, leave alone realise we need changes. It took me a long time to discard the 10 commandments above and adapt to a better work regime. The focus should be on the outcome of your actions. Don’t get me wrong. Having habits can be a very good attribute in one’s life. The secret is to learn and maintain healthy habits. Having a new found attitude to being productive in a positive manner cause such pleasure it honestly is worth it. Make time and have a good look at how you operate within both Life and Work specially if you feel you’re not achieving as much as you would like to. Working your fingers to the bone, will in the long run, only give you bony-fingers. Not much else. Please feel free to share your thoughts after reading this. Your opinions count. It also matters. And if you require any help dropping some habits then don’t hesitate to get in touch. WHAT IS THE KEY TO BE PRODUCTIVE? Perhaps you have an idea of what being productive is about - or maybe you are right in the midst of trying to figure it out. Either way, I came across a very informative blogpost that can be of benefit to all. After reading the article by Dan Kennedy on Work Smarter Not Harder my thoughts, believes and attitude were confirmed: it comes down to one word and one word only… Discipline. Ever since I made the decision to start doing what I am doing for a living my focus point was to be Productive - and (hopefully) successful in the end. To get to the end of a day and many boxes have been ticked makes for a great feeling of satisfaction. This causes even more drive for the next day, the next task and the next milestone. As I related to this post so much I want to give you an insight into how it works for me. Hitting that snooze button and turning over was my downfall. Even though this could be a temptation at the best of times, I deliberately choose not to fall into this trap anymore. Nothing beats catching the sunrise when the day smells fresh and clean. I can’t bear missing the best part of the day. My daily to-do list is as long as my arm hence I tackle them one by one. For me getting the most mundane/tedious tasks out of the way is best. Then the concentration can be implemented to the tough and serious topics on the list. It happens quite often. I planned it all and then boom! the goal posts are moved. I learned a lesson ages ago not to despair and get negative. As a matter of fact when a brick wall faces me it’s best to take time out and walk away (literally) from the issue. After a few minutes I will have a new perspective on the situation. Many times I find the positive within a negative situation. Not much beats the feeling of content when I overturn the moment to my advantage and walk away as the winner. As incredible as it is to be your own boss there is nothing more frustrating to end up feeling you are working all the hours god send and still not accomplish much due to distractions. It is bound to happen so I plan and manage people’s expectations constantly. As the saying goes: there is a time and place for everything which I apply to all aspects of work. Once clients (and family/friends) are aware what I do and when I find myself to be far more productive than ever before. Every working day I schedule time for myself. I take time out to tune into webinars, read inspirational books, find images/settings to photograph, etc. or just sit down, have a coffee and contemplate my next move. I found that if I run around all the time everyone but me gets the attention. Take Note: the most important person in your life is You. Once you have taken care of yourself it is much easier to look after others. At the startup stage it is inevitable that you end up doing almost everything yourself. Within my environment it was obvious that I will source the best website platform and template, be instrumental in creating the logo, seeking the colours etc. etc. Money is not always in abundance so I got my hands dirty and got on with it - and still do from time to time! However, I take great caution not to get use to such a regime. Burnout is not an option for me. I don’t want to end up with my face flat on the ground. Wherever I can I seek help with smaller tasks at hand. Then I can concentrate on the bigger picture that will improve the state of my venture. This brings me right back to the title of Dan’s post: Work Smarter not Harder. I constantly take a good look at what needs to be done to create a successful brand. I then zoom into that and tunnel my energy towards it. Only when all the ground work was done and I started to look months ahead, instead of days, I got the taste of what Entrepreneurship is all about. I am happy to be content with discipline in my work and life. I know it pays off each and every time. It is a thrill to focus on, be positive about what lies ahead and what needs to be done to get there. It is all too exciting to mess it up. I am convinced you can experience such excitement too. Best solution is to give it a go, work at it and end up feeling happy. My daily motto is I can. And I will. Watch Me - why not give it a go yourself! Please share your work ethnics and/or struggles. If any questions are hanging around then let me know. As always, who knows, maybe I have a suggestion that can be of help.